Yesterday we travelled to Marysville/Yuba City for Leticia and Jesus’ big day. They got married in the historic St. Joseph’s Church in Marysville and although we don’t understand Spanish, judging by the laughter in the church, it was a very entertaining service! They continued on to the Veteran’s Hall in Yuba City for their reception that featured traditional Folklorico dancing as well as two live bands. Congrats to the happy couple and we can’t wait for them to see their video! 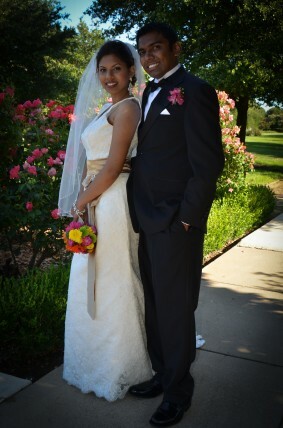 This past weekend we were invited to celebrate in Evangeline and Arun’s wedding in Elk Grove. They had an outdoor ceremony at Laguna Town Hall followed by a reception inside. 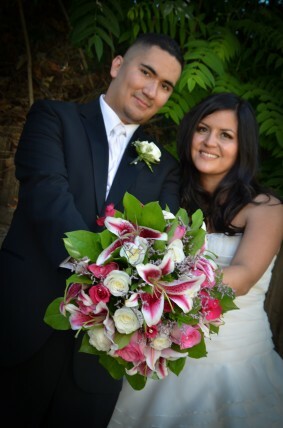 Their wedding was a blend of traditional American and Indian weddings. Evangeline looked beautiful in her traditional white gown for the ceremony and then changed into a traditional Indian dress for the reception and she looked stunning. The colors were so vibrant! They ended the evening with a horse and carriage ride to their hotel. Over the weekend we shot our 200th wedding as professional videographers. So it was a very exciting milestone for us to reach! We celebrated Zayroh and Trinh’s wedding in Sacramento. 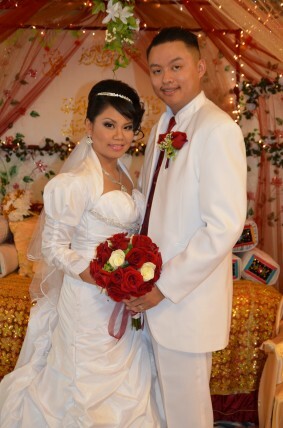 They had a traditional Vietnamese/Malaysian ceremony at her parent’s house followed by a traditional reception at The Palace in Citrus Heights. They are off in Cancun now and we’re hard at work putting together their wedding video. Yesterday we travelled to Chico to celebrate Melissa and Gavin’s wedding at The Palms. The weather was scorching for their outdoor ceremony but it was definitely worth it because the grounds of The Palms are so beautiful! 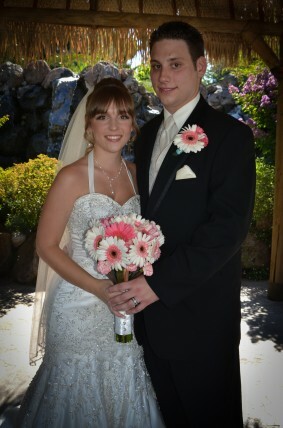 Melissa did an outstanding job in executing every little detail of her wedding. She saved a lot of money and made her own bouquets and as someone who sees a lot of flowers at weddings, I couldn’t tell the difference. One of the highlights of the night was the cake cutting. They decided to pull a prank on the best man – Gavin’s brother – and instead of smashing the cake on each other, they smashed it in the best man’s face. It was definitely a video-worthy moment! Overall it was a wonderful day and they were such a cute and fun couple!